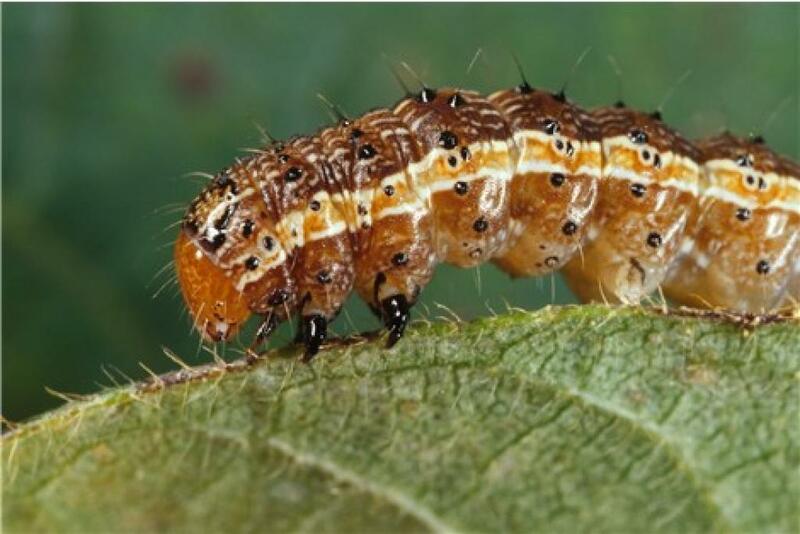 A crop-destroying caterpillar has attacked maize crops in Karnataka’s Chikballapur district, finds a team of agriculture scientists. The find has set off alarms as the same caterpillar had wreaked havoc on maize crops in Africa last year. The fall army worm, scientifically called Spodoptera frugiperda, is an invasive pest found in the fields of Chikballabur, a district in the north of Bengaluru, during a survey conducted between July 9 and July 12, 2018. National Bureau of Agriculture Insect Resources’ Dr AN Shylesha, principal scientist, division of germplasm, conservation and utilisation, and Dr SK Jalali, principal scientist and head of the division of genomic resources, conducted the study. The NBAIR is a part of Indian Council of Agricultural Research. This particular caterpillar is native to North Americas and destroyed maize crops across Africa in 2016 and 2017. It had put the entire continent at risk of a food crisis. The pest has attacked more than 70 per cent of the crop in Karnataka, notes Shylesha. When pests from districts like Hassan, Bellur and Shimoga were collected, it was found that can lay eggs fast and ensures that they spread fast. Certain reports even suggest that the pest attack has found its way to neighbouring Andhra Pradesh and Tamil Nadu. It’s a reason to worry because this pest can also damage other crops like rice, cotton and sugarcane. Jalali and his team, who study molecular identification of larvae, have confirmed that the caterpillars found in Karnataka were a 100 per cent match with those found in Canada and Costa Rica. But scientists have still not commented on how this pest entered India. Nobody’s sure if they made their way to India through human-aided transport of natural migration. The studies on this pest are still on. There has been a rise of pest attacks in India in the recent past. The Down to Earth had reported last year on how pest attacks are growing in different regions owing to climate change.